Each day throughout July, I'll share with you a piece of classical music. Thirty-one days, thirty-one pieces. The list is by no means definitive, nor is it necessarily a list of all of my favorite music from the classical world. Every morning, I start my day with music that inspires me in some way, whether I'm inspired by its happiness, its loneliness, the instrumentation, the harmony, the colors, the melody  each piece is special in some way  and offers an opportunity to either hear something you've never heard, or hear something new in a piece you've known your whole life. Like yesterday's post, I offer a gorgeous gem of piano that has some unique twists and turns within it. 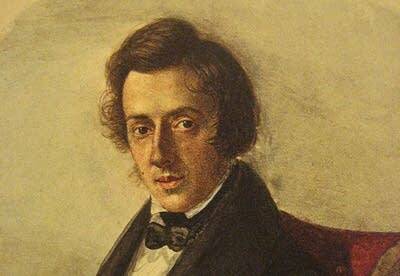 Of the hundreds of choices Frederic Chopin has to offer, I find this "simple" Berceuse in D-flat major fascinating. My ears giggle with joy at the somewhat random chromaticism (dissonance, crunchiness). If you can pick out the left hand, it does the same thing more or less through the entire piece, while the right hand has the most joyous party. All those ninths! 31 Days is a bite-sized month-long trial of Classical Music from across the spectrum of the wonderful, expansive music we love at Classical MPR. Join the fun by subscribing to the 31 Days of Classical newsletter, or use #31DaysofClassical on Twitter or Facebook.